The World Cup in Brazil has caught the attention of billions of people around the world this summer. It’s not surprising given that soccer (football) has always been considered the most popular sport in the world. 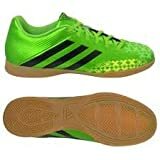 If your little one has taken interest in soccer, then you probably are thinking of shopping for soccer cleats for kids. If you have never bought soccer cleats before, then you need to familiarize yourself with this type of footwear and learn how to choose the right one for your child. There are a lot of things you have to know when shopping for the best soccer cleats for boys and best soccer cleats for girls. Ask any soccer player and chances are, he or she will tell you that the most critical piece of sports equipment has got to be the footwear. Your child is still learning the basics of the game and he will be able to move freely and comfortably if he wears cleats that fit him just right. It doesn’t matter if your toddler is playing just for fun or simply to spend time with friends. You can make your child comfortable when he’s out in the field by investing on a comfortable and proper fitting soccer cleats. Just like when you are shopping for your own pair of shoes, you must find soccer cleats that are comfortable and functional for your child. Getting the wrong pair could cause your child to suffer from blisters after a day or two of playing. First things first. You must know your child’s size. The best way to determine this is to bring him or her to a store that sells children’s shoes. You can ask the store personnel to measure your child’s feet. Specifics like the width, length and arch of your little one’s foot will be measured. When shopping for soccer cleats for toddlers, the footwear should give at least half an inch of space in front. There should also be enough space in the back of the footwear. You can check this by inserting your pinky in the heel of the cleats. But make sure that you can only insert the first knuckle of your little finger, as anything more than that may mean that the cleats is too big for your child’s foot. Obviously, you don’t want your child’s foot to slip out while he’s running after the ball! Toddlers usually have wider feet with the length only catching up as their feet grow bigger. So you must be careful in buying footwear that matches the width of your child’s foot. Cleats that are too tight can cause blisters. On the other hand, cleats that are too wide will cause instability and make it difficult for your child to run. A common practice for parents is to buy cleats that are a bit large for their children’s feet. The belief is that their children feet would eventually grow bigger in a matter of months, so it’s best to buy cleats bigger than the actual size of the wearer’s feet. But such a practice is wrong. Buying shoes that are too large for the feet could only cause injuries to the wearer. Instead of investing in large cleats, parents should just buy cheap shoes that fit their children’s feet perfectly. Soccer cleats are made of leather and synthetic materials. Leather soccer cleats are considered more comfortable as these can be stretched to conform to the foot’s unique shape. The major downside is that leather soccer shoes tend to become heavier because of leather’s absorbency, which means your child may have difficulty running around in a wet field. Experts suggest that parents should opt for soccer cleats made from synthetic materials. Aside from being inexpensive, synthetic soccer cleats are easier to clean. Soccer footwear manufactured from synthetic materials is also not as absorbent as leather soccer shoes. Likewise, your child will have more shoe designs to choose from since synthetic materials can hold more colors and designs, compared to leather soccer shoes. Is there any difference between boys soccer cleats and girls soccer cleats? You’ll notice that when shopping for the best soccer cleats for kids, cleats for boys are not sold separately from girl’s soccer shoes. The reason is that the female feet and male feet are almost the same. Girls feet only start to narrow when they reach adolescence. Thus the soccer shoes for girls don’t really have any major differences from those made for boys. But is there any difference between soccer cleats for toddlers and older children? The difference is mainly on the sizing. For toddlers, soccer shoe sizes start at 3 9/16 inches up to 6 6/16 inches. On the other hand, soccer shoes for children start at 6 9/16 inches and end at 9/16 inches. Soccer cleats that are bigger than that are available in the adults footwear section. The price of soccer cleats can vary, depending on the size, material and the manufacturer. Some of the cheaper soccer cleats manufactured by reputable brands like Adidas and Nike range from low to mid range prices. The more expensive soccer cleats can go significantly higher . But these are premium shoes that are made of genuine leather. The average cost of youth soccer cleats for indoor or outdoor use is around $45. When shopping for soccer cleats for your child, you should bring him or her to the store to try the shoes first. It is also advisable that your child try the footwear along with other soccer gear such as shin guards, socks and ankle braces. This would help your child decide if the shoe is comfortable for him or her. Just like when purchasing any other kind of shoe, your child should wear both cleats to see to it that the fit is right. Your kid should then walk around with the shoes on. Remember that soccer cleats are different from ordinary running shoes, so it would help that your child wears the footwear first before purchasing. Of course, you may also opt to buy soccer cleats online. Just make sure to try on a similar pair from a local shop so you’ll know the correct size to buy and which particular cleats your child likes. This entry was posted in Children's cleats, Indoor Soccer, Toddler Soccer Cleats on July 31, 2014 by admin. The Best Indoor Soccer Shoes For 2014 – which will suit you best? Anyone who plays indoor soccer regularly will tell you that when it comes to soccer gear, the most important thing to get right is the cleats. When deciding on new kicks, a variety of factors can be considered, including the weight, available cushioning, heel support, composition of the strike zone area of the shoe (the spots that make contact with the ball) and, perhaps most importantly, the make up of the studs on the bottom that gives a player traction. It is critical to pick an indoor soccer shoe that offers the right kind of cleat for your particular league and surface you are playing on. For instance, you won’t want metal tipped cleats to play on an indoor rubber surface, and you don’t want to have to return your cool new indoor soccer shoes because they aren’t allowed in the league you play in! For most casual players, good heel support and stable traction are going to be the most determinant factors in picking the right indoor soccer cleats. For more advanced players, it might be the weight and strike zone composition that are more important. The three brands of cleat reviewed in this article all offer superior quality and options at an affordable price. These boots will satisfy players of any skill level and are our picks for the top cleats of 2014. Unlike some lower tier models, the Nike Phelon has a feeling of quality and durability when you first put it on. The synthetic leather upper provides for excellent striking ability and incredible lift on the ball. For a boot this affordable, the touch and control is on par with much more expensive models. This particular boot is made primarily for indoor play and with these Nike indoor shoes coming in at an amazing 8 oz, strides feel natural and organic. These shoes are so light that it can feel like you aren’t wearing any at all, giving the player a very minimalist experience. The Nike Hypervenom indoor cleat is considered one of the most technologically advanced cleat series with the anatomical X1.1 last. This refers to the inside shape of the shoe, and in the case of the Hypervenom, the last has a very accommodating forefoot, providing extra room for players with wide feet. It is designed for enhanced agility, giving skilled strikers and attackers the ability to make quick changes of direction on turf. The Hypervenom also has a molded sockliner and built-in heel cup for a secure, snug fit that will significantly reduce cleat pressure. Called the ‘Nike Skin’ technology, this boot has a natural sock-like fit. One of our favorites, the Nike Mercurial for 2014 is made from dimpled synthetic rubber, offering enhanced control when you have to make moves on a dime. The low cut contoured sockliner delivers low profile cushioning and optimum comfort. One stand out feature on the Nike Mercurial indoor soccer shoe is the asymmetric traction stud pattern. The studs are geometrically placed for instant acceleration and quick changes in direction. The texture pattern at the toe provides for superior first-step take off speed and added grip. Additionally, this men’s indoor soccer shoe has a speed stud at midfoot, enhancing acceleration and support in the high pressure zone for full-speed sprints. Unlike the Hypervenom, the last on this boot is designed more for players with a narrow, flat foot. A light weight shoe at only 8.4 oz, this model will work best on firm, natural surfaces. The IC stands for ‘Indoor Competition’, and that is exactly what this shoe is for. It is a competitors boot in all respects and will give even the most seasoned player superior traction and comfort. Considered one of the best soccer shoes for indoor play, these new Adidas cleats have a non-marking gum rubber outsole for incredible grip on an indoor court. Perhaps the most interesting feature is the 3D print on the five lethal strike zones. Raised and contoured, these textured areas of the shoe are designed to give the player increased control with every touch of the ball. This feature reduces any slippage from humid conditions, keeping the ball from sliding off the shoe during a strike. The Predito is the more cost effective version of the Predator Range series, both offering the 3D contoured strike zones, allowing a skilled player to surgically dissect the competition and keep the ball stuck to foot with unmatched control. This Adidas indoor men’s soccer shoe also offers a soft textile lining and die-cut EVA insole for light weight and comfort. Reviews consistently rank this new Adidas shoe as one of the top in the industry for both amateur and experienced players. This entry was posted in Cleats, Indoor Soccer, Soccer Shoes on June 24, 2014 by admin. The most important piece of equipment for any child who is getting ready to start playing soccer is a pair of comfortable, supported soccer shoes. When a child is young, little attention is often paid to the comfort of a pair of shoes, primarily because they have a tendency to grow so quickly. But, if your child is planning on playing indoor soccer, then it is worth investing in a pair of shoes that is going to make soccer more enjoyable for them. Buying a pair of indoor soccer shoes for your children can be a little confusing for newcomers to the sport. What may surprise you is that there are so many different options in terms of material, construction, and of course the cleats themselves. In some regions, there are particular rules as to what kind of soccer shoes your child may have in a certain league or at a particular age, so you may want to check with your child’s coach or league organisers before making a purchase. Looking for the right pair of cleats for your children? Check out our comparison chart below. Look out for more great buying tips below the chart. Even though your child may want to have the same kind of shoes as their favorite soccer star, rarely is that going to be a good idea. Children’s feet have particular needs, and in order for them to fully enjoy the game and become better players, they also require certain types of shoes. What Kind Of Cleats Does Your Child Need? While the shoes that you are buying for your child may be called “cleats”, it is actually the small studs on the bottom of the shoes that are the cleats. These cleats come in different shapes and sizes, some are molded, and some are able to be taken off and exchanged with other size cleats. The kind of cleats that your child requires will depend on their age, playing ability, the kind of surface they are usually playing on, and the weather. Surprisingly enough, the amount of moisture that your area of the country gets during soccer season is an important factor in determining which cleats are going to be best for your child. Hard surfaces, dry surfaces, or artificial turf will require different types of cleats in order to protect your child’s safety and give them the best traction. Of course, if your child is playing indoors, then they will require indoor soccer shoes that do not have cleats on the bottom, but rather a flat surface that is usually made from some type of gum rubber. The reason for this is that many indoor soccer matches are played in gyms where traditional tennis shoes or dark soled shoes could end up scuffing or damaging the floor. Do You Need To Buy An Expensive Pair of Shoes? No parent wants to spend a fortune on their child’s first pair of indoor soccer shoes, because there is no guarantee that they will stick with the sport. When you also consider the fact that a child’s feet are going to grow rapidly, you may actually find yourself purchasing a new pair of indoor soccer shoes for your kids on an annual basis. There are some very reputable companies that sell affordable soccer shoes for kids, which are generally made from synthetic materials. These can be very strong and sturdy and provide your child with the stability, speed, and traction that they need while playing. High-quality leather soccer shoes can be a luxury, but they may not be a true necessity unless you really do have a true star on your hands. Perhaps one of the most important aspects of any indoor soccer shoe is its durability. Chances are that your child is going to wear the shoes on a regular basis, and may well wear them out. When you buy affordable shoes, it does not necessarily mean that they do not have high quality construction or the best possible materials. Indoor soccer shoes tend to be lighter weight than other soccer shoes, and that is definitely the case when it comes to the children’s shoes. Most kids will have a better playing experience indoor with shoes that are made from lightweight materials. Where Can You Get The Best Deal On Indoor Soccer Shoes For Your Children? Finding the best indoor soccer shoes for your little ones can be difficult in your local mall or even your local soccer store. The truth is there are now so many different options available that the best place to purchase indoor soccer shoes for soccer shoes of any kind is going to be online. 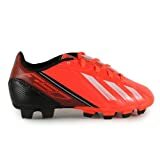 Whether you are looking for extremely affordable soccer shoes for a first-time player or high quality, leather cleats for an experienced player, you will definitely find more options at a better price online. This entry was posted in Children's cleats, Cleats, Indoor Soccer on February 15, 2014 by admin. Nike has been associated with soccer for decades, and some of the world’s top players including Cristiano Ronaldo of Real Madrid, Neymar of Barcelona and Manchester United’s Wayne Rooney all wear shoes bearing the famous swoosh logo. The growing popularity of futsal called for shoes designed specifically for indoor soccer, and Nike now has a wide range of options available ranging from classic styles to the latest contemporary designs. While very few serious soccer players would ever take to the field in a competitive match wearing inappropriate footwear, they may sometimes practice or play indoors in a pair of regular running shoes. Indoor soccer shoes and running shoes often look very much alike at first glance, but a closer inspection will reveal that they are actually very different. Major manufacturers like Nike pack their indoor soccer cleats with advanced technology, and touches often invisible to the naked eye are added to improve traction, maneuverability and ball control. Running shoes or sneakers may be just fine for a casual kick about, but wearing the right shoes for futsal or indoor soccer could be the difference between making the team and sitting on the bench. Playing soccer indoors often involves working in tight spaces and making sharp turns, and the right futsal shoes will have been designed with this in mind. The choices available to players shopping for indoor Nike soccer shoes may seem bewildering at first, and some may wish to narrow down their options before they begin to shop. 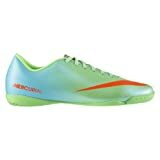 Nike Mercurial Victory V IC – The Mercurial Victory V is not for wallflowers as it’s hard not to be noticed in this shoe. Available in colors including pink, yellow and orange, the Mercurial Victory V backs up its space-age styling with a full-length rubber outsole that delivers almost unreal levels of traction. The uppers are made from a combination of genuine leather and synthetic materials, and a contoured sockliner ensures that the Mercury is always comfortable. Nike Hypervenom Phelon IC – Many attacking players love the Hypervenom Phelon IC. Nike designers shortened the shoe’s lace area to increase the strike zone for blistering shots, and the thin synthetic upper feels and fits like a glove. The Hypervenom also features a decoupled outsole made of gum rubber to improve agility and supportive cushioning for a perfect fit. This is one of the most advanced indoor shoes on the market, and it offers players an unparallelled combination of comfort, ball feel and performance. The Hypervenom Phelon IC is available in either green and black or black and white. Nike Davinho Indoor Soccer Shoe – The Nike Davinho is a perfect choice for players who want the traditional looks of classic leather soccer shoes without the associated maintenance hassles. This is a classic Nike design that could easily have been worn by the bygone legends of the game, but looks can be deceiving. The Davinho’s synthetic upper integrates breathable mesh for comfort and its rubber outsole features a multi-directional grip for tight turns and precision passes. The Shoe is made even more comfortable by added cushioning at the heel and forefoot. Nike Mercurial Victory V IC CR7 – All serious soccer fans and players know what CR7 means. Cristiano Ronaldo is one of the sports brightest stars, and he wears the number seven for the ten-time European Champions Real Madrid. Ronaldo is known for his blistering pace and exquisite touch, and the Mercurial Victory V IC CR7 is designed to enhance these qualities in players with more mortal skills. The micro texture upper provides excellent fit and ball control, and the rubber outsole is designed to allow the near impossible maneuverability that CR7 is known for. Control is further enhanced by an internal cage that locks the foot in place. Nike Tiempo Genio Leather IC – A quilted design and full-length Nike logo give the Tiempo Genio a distinctive look, and a gum rubber outsole and textured forefoot provide exceptional control and ball touch. The shoe features side vents for extra comfort and a Phylon midsole provides additional cushioning. The full-grain leather upper is waterproofed for added durability, and the shoe has recently been redesigned to be lighter and softer than ever. Most players want an indoor soccer shoe that can improve their game without breaking the bank. Nike offers a number of good choices, and even their budget styles are packed with innovative technology. Comfort and fit may the most important considerations as players are rarely able to perform at their best in uncomfortable shoes, but durability should not be overlooked. Players perform well when their shoes fit snugly, but not tightly, at the toe and heel, and uppers made of thinner leather or high-technology synthetic materials give players better feel and control. Price is an important consideration for many buyers, but a higher price does not always indicate more sophisticated technology. Shoes made by leading athletic apparel manufacturers like Nike sell in huge numbers, and this allows soaring research and development costs to be absorbed more easily. The materials used in a shoe’s construction can also affect fit. Leather uppers may be a little unyielding at first, but they will stretch slightly and become more supple with wear. Synthetic materials are softer when new, and they will generally retain their original properties. While modern athletic shoes are usually made extremely well, they will often last longer when they are taken care of properly. Players should knock loose dirt off their shoes immediately after playing, and they may also wish to place newspaper inside them after returning home. This allows shoes to dry more evenly, and it can also help to maintain shape and fit. What Kind Of Indoor Soccer Cleats Are Right For You? There are a few factors that you may want to keep in mind when you are looking at shoes to play indoor soccer in, not least of which is the weight of the shoe. Many indoor shoes tend to be lighter in weight than traditional soccer cleats, due in part to the fact that they do not have studs. But, there are other aspects to indoor cleats that you will appreciate, including their lightweight materials, flexibility, and unique styling. It is also worth considering the differences between the indoor game and the outdoor game when choosing indoor shoes. The indoor game is likely to require more sprinting, and turning in tighter areas so choosing a shoe with good grip and mobility is essential. Also, indoor games are often played in more humid environments so you’d be well advised to choose a shoe that keeps you feet cool and gives them a chance to breathe. Nike is now making more indoor cleats than ever before, and what you will notice about them this year is that many of them have a unique and distinctive styling. A lot of these shoes are made to be serious fashion statements, whether they are created in iridescent, fluorescent, or extremely bright colors. But, it is not just the coloring and styling that has changed with the shoes, since they now incorporate a number of new technologies that make them better on indoor courts. If you are taking your soccer game seriously, then you cannot go wrong with Nike shoes. This entry was posted in Cleats, Indoor Soccer on February 15, 2014 by admin.